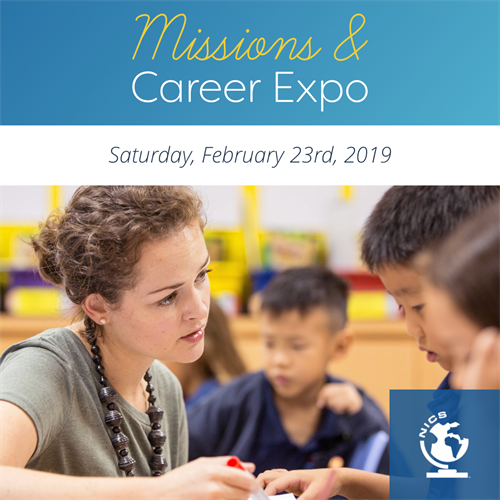 Our annual Missions and Career Expo is taking place in February. This is a great opportunity to see what is going on at our schools! A great chance to hear exactly what God is doing on the ground at each of our 19 schools in 16 countries around the world. In the afternoon there will be opportunities to interview with our directors if you're interested in going overseas! Visit nics.org/expo for more info! Presentation Schedule TBD. Check back at a later date for specific presentation times. Lunch will be catered in the Go Center located next door to the Sanctuary.